When people from different social groups mix, they generally come away with a more positive attitude towards the other social group. However, this benefit is not always symmetrical - people from a minority group are less likely to emerge with improved attitudes. It depends on how they perceive the experience, and how they perceive the dynamics between their social group and the majority group. 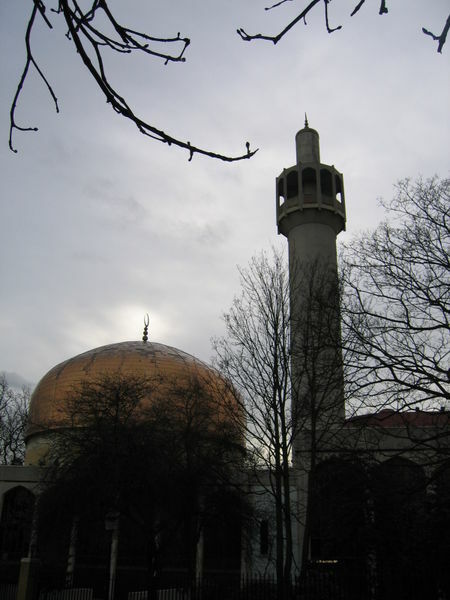 Nick Hopkins and Vered Kahani-Hopkins have explored such perceptions by analysing some of the diverse positions on inter-faith dialogue adopted by British Muslims in the 1990’s. For example, they found speakers at one event arguing that inter-faith dialogue was unhelpful until the Muslim community was fully united and better organised. One speaker said: “At present interfaith dialogue is conducted on both sides by individuals and groups who have no interest in Islam. Under such circumstances interfaith dialogue becomes a tool through which the religious rights of one group - Muslims - are slowly eroded away”. Hopkins told The Digest: “It seems that for some minority group activists, interventions involving contact could be problematic because they are perceived as undermining group members’ abilities to act collectively and bring about social change”. However, this was not a feeling held by all Muslims at the time. Hopkins and Kahani-Hopkins also analysed a 1997 report by the Runneymede Trust - ‘Islamaphobia: a challenge for us all’ which represented an important strand of Muslim opinion. The report emphasised the need for inter-group contact if Islamaphobia were to be overcome, and mentioned “the importance of practical projects which require people from different communities and faiths to work as partners on the resolution of shared problems, and to make common cause to other bodies”. The researchers believe it is only through this kind of careful, qualitative analysis of how people think about inter-group dynamics that a more realistic, politically sophisticated understanding of how different groups feel about intergroup contact can be achieved. Hopkins, N. & Kahani-Hopkins, V. (2006). Minority group members’ theories of intergroup contact: A case study of British Muslims’ conceptualisations of ‘Islamaphobia’ and social change. British Journal of Social Psychology, 45, 245-264. I am reminded (I had forgotten all about it) that at the Social Psychology Section's recent edinburgh conference I contributed a paper on Islamic and Jewish perspectives on the common ancestor Abraham -(it was accepted as a poster, no less - though in the event I was unable to be present and poster was better than nothing - or was it?) ; and the net notice taken of tis effort (in terms of any contact back to me) was zero! heya, i read this but as a black woman born and breed in england it supprised me about the amount of focus has been put on the foundations of islam (no im not muslim myself but can see paralles between the two) it seems to me that although the blacks had riots after being "invited" to britain, britain had no intention of intergrating itself with the new population it invited over to support its economy. and no, we didnt bomb innocent civilians but have instead, put up with over policing and most of the blame in regards to high levels of instability of the economy, (ie, stealing british peoples jobs, houses) and to be blamed as a majority of muggers, drug users and gun crime. my question to you is, are muslims the new blacks? my second question is, how tolerant of differnce and diversity are the british non ethnic really? Interesting thoughts guys, as both a non-ethnic (anonymous' term) and a PhD student whose research focuses on prejudice and discrimination, I find that the issues raised both by this paper and your own are arguably relevant in today's society. I also question the tolerance of the majority towards diversity, as it would appear that by creating legislation with an aim to increase it actually serves to merely increase covert discrimination and prejudice. As for the question regarding whether the Muslim population in Britain have become the 'new Blacks', it is debatable, and one that may be more surrounded by issues of media hype and fear, rather than a realistic means of labelling.